24/7 Car Lockouts Service | Keys Locked in Car | Fast Response Los Angeles! It happens always when you don’t expect. I got my house door broken down by someone who got in and stole our things, mostly jewelry and iPhones. In the middle of the night I called Leo's Locksmith and I was happily surprised to see how quick and expert they guys are. A fast and excellent job with my house door! Very helpful and quick. I got a hard time to try to repair my office door by myself, but I couldn’t. So, I called Leo's Locksmith and the team of experts fixed the door in just 15 minutes… everything ok! 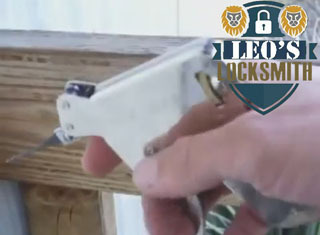 I truly recommend you to consider Leo's Locksmith in case of doors that don’t work the right way. I needed urgent help with my car key… I got lost the key and couldn’t open my car, a big trouble and I had to hurry up not to miss the dentist appointment. By luck, I had the phone number of Leo's Locksmith in my phone book: a great relief! In less than a hour I was at the dentist waiting room. Accidentally locked your keys in the car? Are your car keys lost or stolen? Our emergency auto lockout service can reach you within twenty minutes and help get you inside your car in no time! Locked Out Of Your Car? Help Is Just a Phone Call Away! If you are wondering how to unlock a car without keys and get inside, that's where we can help. There is no one way of retrieving car keys from inside a locked vehicle. Our trained auto locksmiths know this, which is why they come equipped with a “bag of tricks”. Each car model has its own security system, which is why our specialists make sure to assess the lockout situation before getting to work. Some of the most common lockout methods that we use include lock picking, door opening techniques, and cutting new car keys. If you’ve accidentally locked your keys inside your car trunk, we can help you get them out. Generally speaking, we do not attempt picking car trunk locks or trying to pry our way into vehicles via the trunk. The reason for this is because many modern cars have a built in alarm that not only makes that shrill beeping noise, but also shuts down all vehicle electronics, making it even more difficult to pick door locks and access the keys inside the car. Instead, we gently pick our way through car doors, and then climb through the back seat in order to retrieve the keys from the trunk. If your car keys are lost, you will need to replace them ASAP. 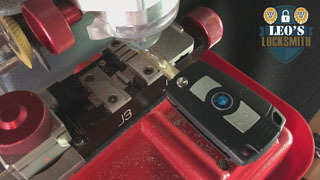 Our technicians provide services for many different types of lost keys, including transponder keys, switchblade keys, laser cut keys, and proximity smart keys. 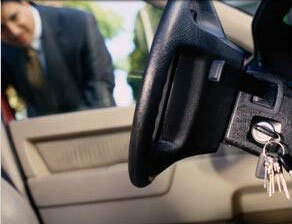 To avail yourself of our car lock replacement services contact our locksmith team today. Car locks can become worn and aged over time, and they can become severely damaged if a car theft attempt was made by an amateur. Our auto locksmith services include repairing door locks when possible, and when impractical, replacing car door locks completely. Unfortunately, car lockouts are not exactly something that you can plan for, if they were, you’d likely plan on not having it happen to you. When you find yourself in a car lockout situation at night or over the weekend, you do not want to have to wait to get your auto lockout needs met. In an emergency locksmith situation you can rely on our 24 hour mobile locksmiths to come to your vehicle’s location and resolve your car lockout issue for you on-the-spot. Our car locksmiths are mobile and can reach in less than twenty minutes no matter where in the Los Angeles area you might be. All of our locksmiths are equipped with a utility van that carries all the tools that might be needed to help get you back inside your car and driving again in no time. Our mobile locksmith technicians are also equipped with key duplication kits and tools, so that if need be, we can make you a new car key or fix your existing key for you on the spot. Whatever the cause of your car lockout situation might be, we have the perfect solution to get you on your way. If you are locked out of your car and need our assistance; don’t delay! Call us right away!